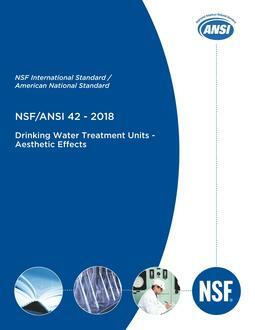 It is the purpose of this Standard to establish minimum performance requirements for bag filters, cartridge filters, and microfiltration (MF) or ultrafiltration (UF) membranes used in the treatment and production of public drinking water. This Standard is designed to describe the performance evaluation (PE) test procedure for the product specific challenge testing (PSCT) of full scale UF and MF membrane modules, bag filters, and cartridge filters for the removal of microbial contaminants. This Standard provides procedures to develop challenge testing log removal values (LRVC-TEST), as required in the EPA's Long Term 2 Enhanced Surface Water Treatment Rule (LT2ESWTR) published in 40 CFR Part 141, Subpart W.